Summer rings in a lot of things, including graduation parties, vacations and weddings. If wedding bells will be ringing for you this summer, you are probably well in your way to planning for your big day. The DJ is booked, the caterer hired and the dress is fitted, but there are a few things you may not have considered that are important for every summer wedding. As your premier wedding reception hall in Northwest Indiana, our planners at Signature Banquets have put together a list of five things every summer bride should keep in mind. Starting with you and your wedding party, hydration is key to your wellbeing on a summer wedding day. With the busyness of the day (and the alcohol), it can be easy to forget to keep yourself well hydrated. A good way to make sure that you and your guests have plenty of fluids is to provide a variety of non-alcoholic drinks, whether that be bottled water on the side of the aisle as guests enter for the ceremony or a table with tea and flavored lemonade during the reception. Since you have to print up wedding programs anyway, why not design them to serve double duty for guests as paper fans. This is a creative way to make sure your guests stay cool and comfortable, especially if your wedding ceremony is being held outside. Just because it’s your wedding day and not a day at the beach doesn’t mean you shouldn’t still consider protecting your eyes and skin from harsh sunrays. Apply sunscreen and keep sunglasses on hand. A good idea is to purchase mini sunscreen bottles and novelty sunglasses for guests. They can make great favors and are useful for guests who are, perhaps, less prepared for the sun than you. Everyone sweats, including brides. Invest in a heavy-duty (streak-free, obviously) antiperspirant for your big day, so you can feel fresh and smell fresh from ceremony to reception. If you are concerned about sweating through your makeup, there are refreshing sprays you can purchase to use throughout the day to keep your face cool and your makeup looking fresh. You can also buy blotting papers to use to dab away sweat without messing up your makeup. If your wedding is going to be outdoors, mosquitoes may be a concern. Thankfully, there are candles, lanterns and other attractive ways to keep bugs away without ruining the aesthetics of your wedding space. Also, similar to the sunscreen, you can purchase mini bug spray bottles to have on hand for guests to use if necessary. Pulling off the perfect summer wedding simply requires some expert planning, forethought and a little help. 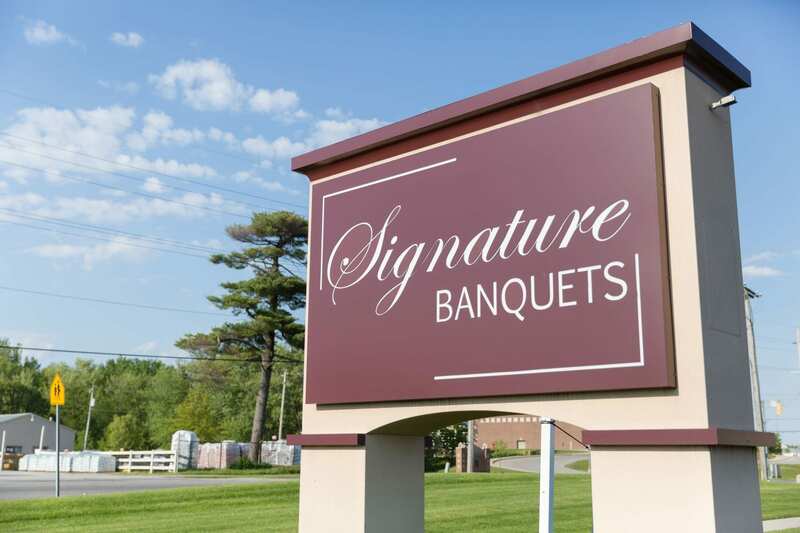 If you are looking for a partner for your summer wedding, Signature Banquets is your premier wedding reception hall in Northwest Indiana. We also have professional event planners on site to help you create your perfect event. To learn more about what we have to offer, contact us today!